Last week the gauntlet was laid down. I was enthralled when a former student of mine turned first year teacher this year contacted me about getting a prayer group started in her new building. Let’s just rest on that thought for a second. A first year teacher starting a prayer group in her building? Not knowing a single faculty member on an intimate level? Fellow friends, this is the epitome of bravery! So if any of you out there are wavering on whether you should start a prayer group or not, pay heed to that courageous story. If a first year teacher can rise above the fear holding her back, why not you? Think about it. Now if anyone out there questions the Lord’s timing, hear me out on this one. Right now as I planned these blogs from the past two weeks about beginning a prayer group, the sermon series at my church is focusing on leadership. I am pouring wisdom straight from God, to the pulpit of my church, to this blog. And all the leadership traits discussed below can be traced back to the greatest leader of all time. A man who died on the cross for all of us over 2,000 years ago but whose spirit will live on forever. Friends, this is not coincidence. This is God at work, and I cannot wait to share with you these nuggets of truth this morning! First and foremost, let’s get one thing straight: We are ALL leaders. This blog is for all teachers out there, whether you lead a prayer group or not. In less than a few weeks you will be stepping into the classroom with however many eager, nervous, anxious faces staring back at you, expecting to be taken somewhere they have never been. Are you ready for that moment? With clear eyes, can you look yourself in the mirror and know the power of influence you have to a young mind? The greatest teachers out there are great leaders. And it doesn’t just stop in the classroom. It spreads to their colleagues, families, and friends. Without further ado, let’s get started. What makes a great leader? Truth # 1: A leader fills up spiritually on a daily basis. Picture this … two cans of Coke are in front of you. One is empty and one is unopened and filled to the brim. You can’t crush the filled Coke can! Much the same, if you are getting into God’s Word on a daily basis, overflowing your spiritual souls with an outpouring of prayer time, scripture reading, journaling, or however you grow with God, Satan will not be able to crush you. Jesus Christ stepped away from the scene on numerous occasions for prayer and meditation to refresh His spirit, and we should too. Psalm 1: 2 states, “But his delight is in the law of the Lord, and on his law he meditates day and night.” A leader will model this through quiet time with God. Truth # 2: A leader is filled with compassion for others. In Mark 6: 33-34, Jesus’ shows us what true compassion is. He has just retreated for some quiet time with his disciples to refill His spirit, He is still grieving with the fresh news of the savage beheading of his beloved cousin John the Baptist, and all He truly wants is some peace and quiet. But the word of this man is spreading like a wildfire, and 5,000 people are standing on the shores calling out His name. Jesus doesn’t turn the boat in the other direction. He teaches them! 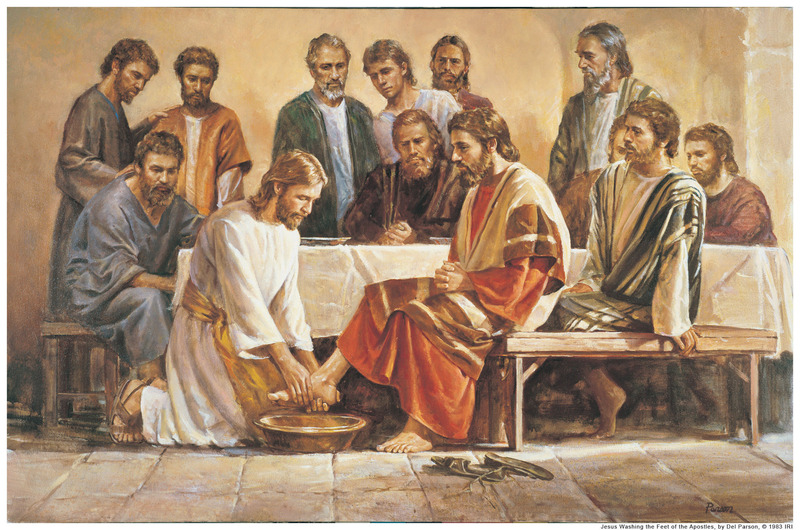 He uses that moment to perform one of the most well-known miracles in the New Testament by feeding them. As leaders in our classroom, our hearts must pour out to every needy student, not to mention needy colleagues. The energy to do this only can be gained by shooting us right back to the first truth above. Fill yourself to the brim with God’s Word (and I recommend a little coffee too! ), letting that fuel your compassion for others. If you fill yourself studying God’s Word, you will be filled with compassion for others and a servant’s heart. Just know that the heart of leadership resides in our Lord and Savior, and if you know Him, if you truly study His every essence, the power to lead will reside in you as well.